With its established culture of manga and animation, many people here in Japan are fans of collecting figures of their favorite characters. 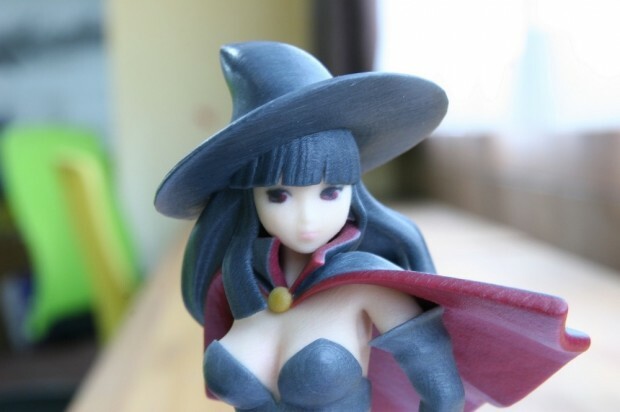 Recently a new crowd-funding platform was launched here, dedicated to creating character figures according to user votes. It’s called Okuyuki, which roughly means ‘depth’. On the Okuyuki platform, all that a user needs to do is upload an image of their illustration. By promoting his or her Okuyuki project to fans, they enlist the support of others to help get their project created. Once there are enough supporters for a project, Okuyuki takes over. It creates the 3D data, makes the figure, and then ships the end product. If and when a project meets its funding goal, the original designer receives 10% of sales from Okuyuki. Of the five projects currently running on the platform, only one has succeeded in gaining any supporters, specifically this character, which is available for 25,000 yen (or about $254). Okuyuki is provided by Japanese company Emotional Brains. It’s a clever idea, and we hope to see more projects on there soon!